Addonix Technologies is a value added Reseller of Dassault Systèmes SOLIDWORKS Corporation having its office in Mumbai, India. Addonix is powered by a team of Engineering professionals, delivering quality service to its clientele based in Mumbai, Thane and Navi Mumbai. Addonix was established in the year 1996 and is continuously delivering support to its customers in diversified fields. We are a value added reseller of Dassault Systèmes in Mumbai, India Since 1999. 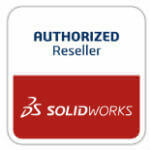 Addonix handles both commercial & education business for SOLIDWORKS range of products. We are Registered Resellers of HP India in Mumbai for their range of Workstations. Addonix is authorized reseller of MAKERBOT 3D Printers in Mumbai.